*takes a deep breath and tries to form coherent thoughts* AHHHHH I'm so excited right now! So: is this cover absolutely breathtaking or what?! 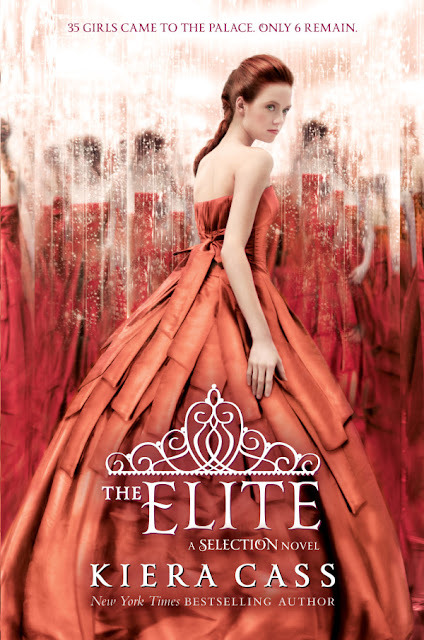 I just love it: the gorgeous dress, the color, the model, the tagline, everything! April 2013, please please please come sooner! For anyone who doesn't know, The Elite is the sequel to The Selection by Kiera Cass, the first in a dystopian series that was published earlier this year. I definitely recommend you check it out here on Goodreads; it's such a fun read! !